The UltraLight Bassara Phoenix released in 2014, The color is dramatic, a burnt orange with a clear coat finish. The bend profile is a perfect match to the KuroKage Proto TINI, the first of the fitter only shafts. That profile is one of my favorites for a well trained swing. TINI stands for Titanium Nickel Wire. It was first use in the Ultralight Bassara “G” series shafts. It is now being added to many shafts. It is a high elastic material that can stretch and immediately regain its original shape. In addition to storing and releasing energy, it stabilizes the shaft tip. Tip stability results in tight dispersion. A consistent loss of stiffness makes this profile easy to load and many find it adds dramatic distance to their drives. The KuroKage Xm & XT use the same TINI material as the Bassara Ultrilights. The Bassara P-Series, formerly called the Phoenix offers TiNi performance in light weight 30 gram to 53 grams designs. 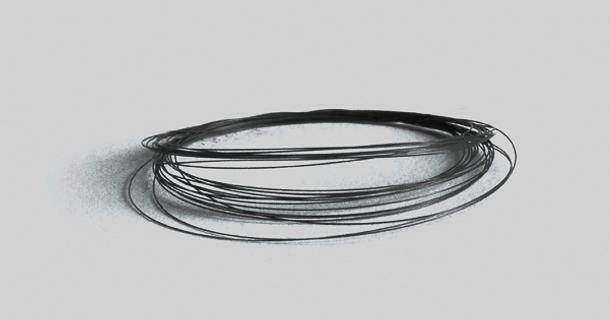 TiNi Wire is a premium elastic wire that immediately springs back to original shape when stretched. Integrating TiNi with carbon fibers in the tip-section allows energy to be loaded and unloaded with great efficiency when the wire stretches, while providing extra strength and stability to the tip. This allows for tighter shot dispersion, even for players with a high swing speed.